tldr; – The iPhone X does not come with any native capability to record phone calls. You can record and save phone calls on your iPhone X if you route your call through a 3rd party telephony service such as Recordator.com. Watch this 2-min video to learn how to record phone calls on your iPhone X. Once again, Apple whipped the public into a frenzy last year with the latest release of their flagship iPhone. This would represent the first new offering since iPhone 7, which created some resentment from consumers. This is because of the company’s decision to jettison the headphone jack. 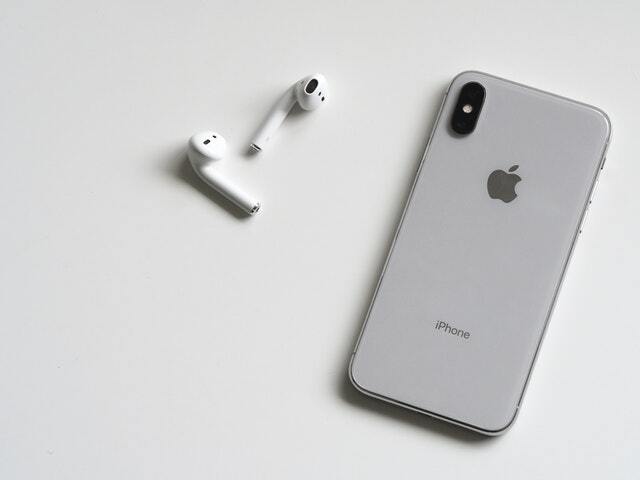 The latest series of iPhone still lack the headphone jack but offer features that open up new possibilities for the future of smartphone technology. Apple threw us a curveball this time around by announcing three phones on the same day. The first two phones, iphone 8 and 8 plus, are aimed at the general consumer since they’re relatively affordable at a price of $699 and $799, respectively. These phones feature a similar design to the previous iPhone 7, except for the ability for wireless charging and an improved camera. But the real showstopper was iPhone X, a phone so advanced and revolutionary that it warrants its $1,000 price tag. The phone delivers a heap of new features and a sleek, simple design that serves as a work of art in addition to a useful technological tool. iPhone 8 might have hewn closely to its predecessor, but iPhone X makes some huge leaps forward. The biggest change is the much-publicized decision to get rid of the home button. Apple made the decision to provide a larger screen without sacrificing the phone’s overall size and weight. The other major innovation for iPhone X is the use of Face ID technology, which unlocks your phone by scanning your face. The technology is nothing short of revolutionary and is most likely to be a default feature for smartphones going forward. Face ID works impeccably even in complete darkness and when a user wears accessories such as reading glasses or a hat. Moreover, you won’t have to forego that winter beard because Face ID will still be able to recognize you. However, Mashable did find Face ID’s one achilles heel: Identical twins. If you’re not crazy about the Face ID system, you can also unlock iPhone X with a pin number, which you’ll need to use after powering down your phone. While iPhone X is a game-changing piece of technology, there are a few downsides to consider (beyond the price). Consumer Reports found that iPhone X doesn’t run as long on a charge as iPhone 8. They found the battery lasted just 19 and a half hours, compared to iPhone 8’s 21 hours on a single charge. The phone also doesn’t display the percentage of remaining battery power, leaving the user to guess how much juice they’ve got left, which can be frustrating for some users. Both Consumer Reports and CNET also found iPhone X to be somewhat less durable than the less expensive iPhone 8. In the case of CNET, the phone cracked after a single 3-foot drop. With iPhone X’s glass backing, going without a case is not an option, as it costs an average of $279 to get the display fixed. Despite the technological advances and the hefty $1,000 price tag, iPhone X still does not have the ability to record calls. This has been an ongoing issue with iPhones and a source of frustration for those that need to record calls for professional reasons. The lack of recording ability isn’t due to an oversight or technological limitations. Surely, Apple can figure out a way to record calls. However, the company has resisted including a method for recording phone calls on iOS for legal reasons, in case there is any misuse. However, recording phone calls can be invaluable for market researchers, journalists, academics and any business that has to engage in lengthy interviews. Fortunately, there is a way to record phone calls on iPhone X using Recordator, a web-based, cloud telephony service that does not rely on iOS to record calls. Recordator is an easy-to-use system that can record audio of your phone calls at call-quality. It also allows you to save the recordings as MP3 audio files. Once your call is saved, you can also share the recordings with colleagues, providing a convenient, easy way to review important phone conversations for research, archival information or any other use. The sign up process is as simple as can be and you’ll get 10 minutes of free call time just for registering. Just enter your name, email, and phone number and you’re ready for step 2. This works the same as adding contacts to your iPhone. Once you enter contacts, you’ll be able to instantly reference the number for easy access. First, select the contact you want to call and select “Click to Call”. Our system will call your phone number, which you provided upon signing up. Once you receive our call, our system places a call to your chosen recipient, then patches both calls. The call will then be recorded and saved to your call recordings. An email will also be sent to you containing the link of your recording. If you have any questions regarding this step, please refer the FAQs section to know more about it. Go to “My Recordings” in your account to find your recordings. Here you can also save the recording to your computer as an MP3 or share it with colleagues. Easy, right? To get started recording calls, click here. You’ll have a chance to figure out the system with your free 10 minutes of calls and decide if it’s right for you. If you’re interested in delving more into the specifics of Recodator, visit our FAQ section. You can also contact us if you have any other questions.